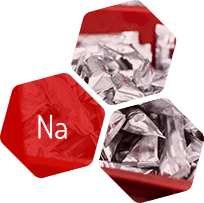 As a pioneer in the production of chloride in France, MSSA Métaux Spéciaux has always considered safety as one of its first priorities. Today, the Pomblière factory is classified Seveso High Threshold and regularly carries out training related to the application of defined procedures for maintaining safety. Member of Syndicat des Halogènes et Dérivés and of Eurochlor, MSSA Métaux Spéciaux participates in the technical projects of this professional association. Our company rigorously applies its technical recommendations. A rigorous organisation has been put into place to apply the adapted safety measures on a daily basis. 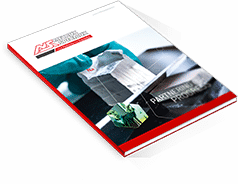 This organisation foresees safety procedures for each work station, weekly meetings in the shops and audits of equipment and personnel behaviour. Each month, safety is reviewed by a special management committee. Regular fire exercises take into consideration the specific nature of our products (alkaline metals, chlorine). MSSA Métaux Spéciaux has deployed extensive accident prevention measures. But zero risk does not exist, so in the event of an emergency, intervention resources are available 365 days a year, 24 hours a day. Despite all the precautions we take, if certain accident scenarios are not controlled, they can have serious consequences both for human health and the environment, even outside the Pomblière plant. The main risk at the plant is toxic gas, materialised by a chlorine leak. There is also a risk of explosion of propane gas. The Internal Operations Plan (POI) sets out the resources and organisation to deploy to control an industrial accident where the consequences are restricted to inside the plant. 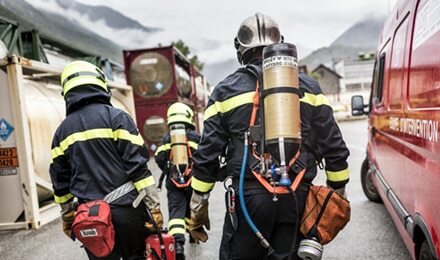 Should these consequences extend off the site, the Specific Response Plan (PPI) is initiated by the Préfet (who coordinates the national response measures in Savoie) in coordination with MSSA management, the mayors of the communes affected and the emergency services (police, fire service, ambulance, civil protection, etc.). Around 15 members of MSSA management have a rotating role to ensure the permanent availability of a Duty Manager. Approx. 50 employees rotate to staff a permanent technical response team. At least 9 people are always ready to take action in the event of an emergency. They will provide support to the employees present in the plant (at least 20 people 24 hours a day). These people are backed up by the second response team of a dozen of employees. All these team members are trained on potential risks in the plant and the appropriate emergency response actions. 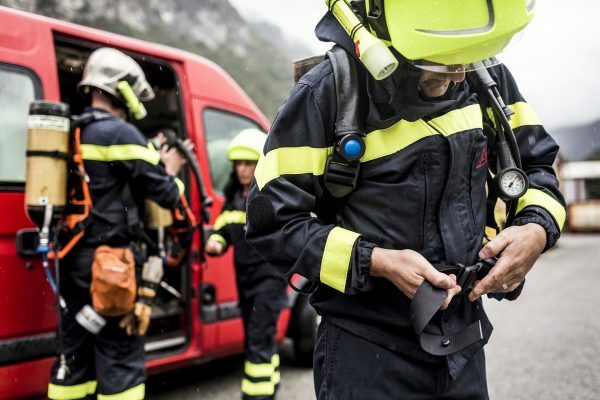 They are equipped with high-performance emergency equipment. 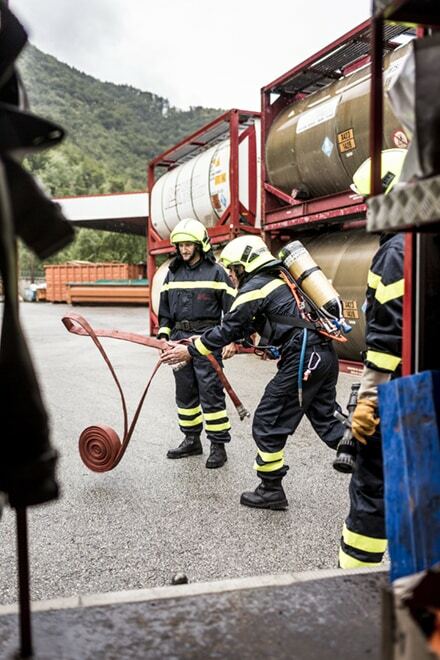 POI exercises with simulations of various scenarios are carried out every month. Once a year, a larger-scale POI exercise is carried out with observers and external resources (SDIS). The PPI at the Pomblière plant has been tested again before in october 2011, with the participation of all parties involved and a part of the local resident population. PPI emergency sirens and the automated phone alert system are tested every month. Each local resident living near the Pomblière plant must be aware of the risks and measures to take in the event of a major accident. The initial alert is raised by an audible signal (PPI sirens). Other methods are also used (automated phone calls, bulletins issued via France Bleue Savoie, etc.). The initial precaution to take is to get into a protected, closed area as quickly as possible. You must not make phone calls, avoid using naked flames or sparks, do not go to collect children from school. You must wait for the alert to stop (audible signal or other method) to return to normal activities.